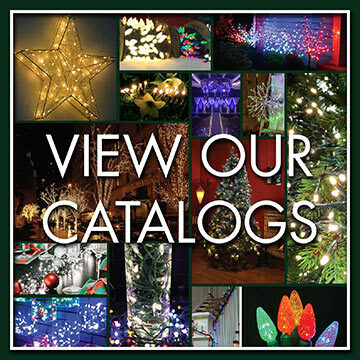 Holiday Bright Lights is your source for top of the line, commercial grade LED light sets. 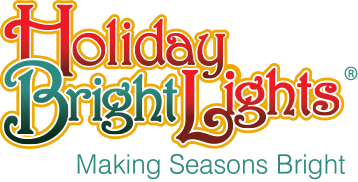 Our quality standards and understanding of application for each lights set has led HBL to become a standard supplier for professional holiday lighting decorators across the United States and Canada. Our patented, sealed bulbs are fully submersible and won’t fail in the rain or snow. We have even frozen our lights in a block of ice and plugged them in while frozen and they still work. We also use a larger LED diode for a vibrant brightness you won’t get with other light sets. LED Christmas light sets are the most popular light product on the market and we carry all the sizes and shapes you need. 5mm Bulbs, also known as wide angle bulbs are one of our most popular light sets. These lights pack a lot of brightness for their size. They show the same brilliance from any angle, making them perfect for trunk and branch wrapping. We offer a variety of spacing for these light sets, including alternate spacing so the lights don’t line up on tight wraps. Another great option for wrapping trees, the LED M8 has a slightly more traditional shape and a faceted shell. The M8 is the same bulb that is used in our wire pieces, light links, and starbursts so you can count on them to be durable enough to stand up to your next job. Popular with homeowners, and one of our best selling retail light sets, C6 light sets have a slightly larger faceted bulb making them perfect for canopy wraps and larger trees. T5 Light sets are perfect for those that want the traditional look of mini lights, but the energy savings of LED. The smooth bulb of the T5 is the same shape of a traditional incandescent mini light, making them perfect for indoor or outdoor Christmas trees & decor. We now offer our most popular light sets for trunk and branch wrapping, the 5mm & M8 rolled into a ball and ready for installation. They are even available with staggered 4-6-4 spacing to prevent the lights from lining up on tight wraps. First popular in Europe, compact LED rice lights are quickly becoming popular in the states. These light sets are some of the longest on the market, reaching up to 111 feet long. 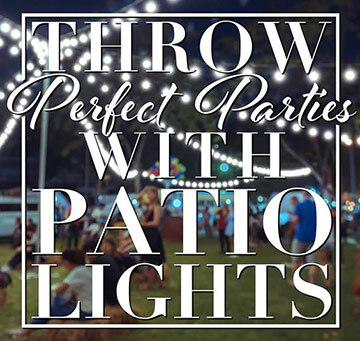 These dynamic light sets consist of 3mm bulbs spaced 2 inches apart and feature 8 functions so you can choose between steady, twinkling, or flashing lights. LED Compact cluster rice lights are one of the most dramatic accent light sets ever produced. 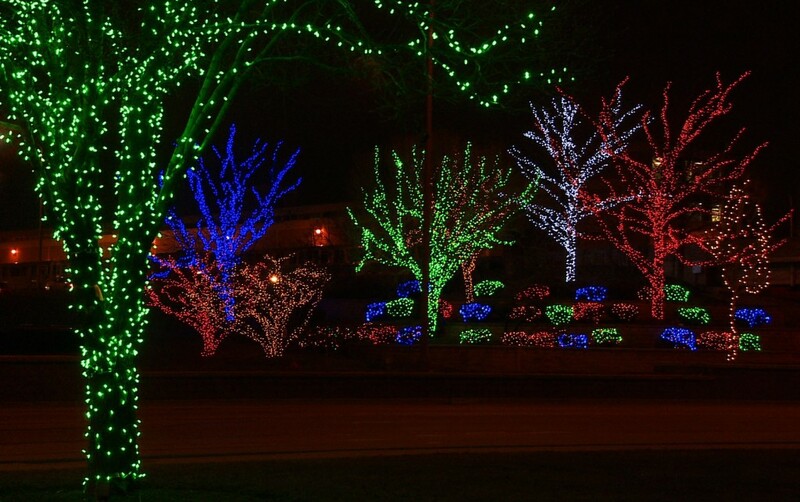 They have a super high density of lights – 40 lights per foot – creating a spectacular 5” wide cluster of lights. The 8 function controller lets you choose from a variety of functions, making them a beautiful accent for pre-lit trees, foliage, and centerpieces. For those with more nostalgic tendencies, we carry incandescent mini light sets. Our incandescent sets stay on even when a bulb goes out or breaks. 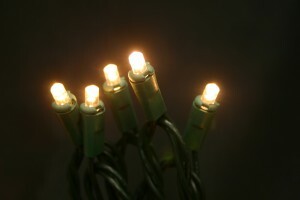 If a bulb does go out it can be replaced with one of the included replacement bulbs.